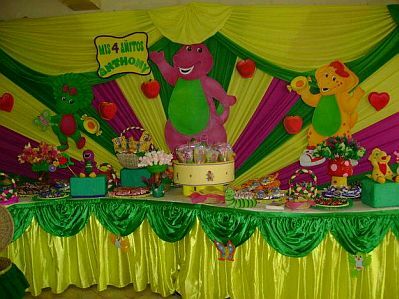 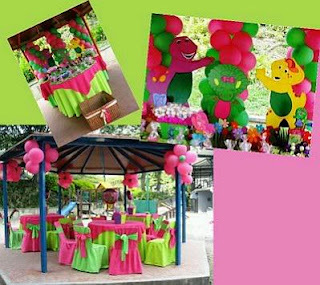 Barney is one of the favorite characters of all time, the polite and friendly dinosaur, is one of the favorite themes when choosing the decoration of children's parties, so if your child also like about it, the proposals that we bring you surely will be useful. To decorate an environment you can use cloth pads and above them, Barney alone or with friends. 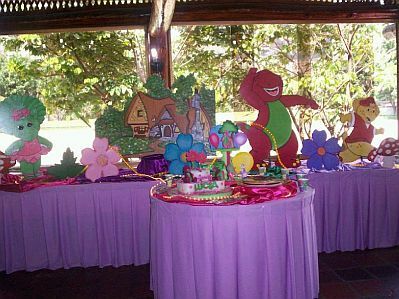 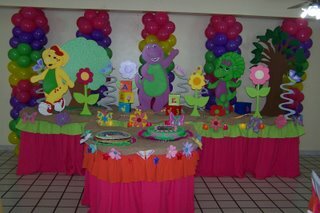 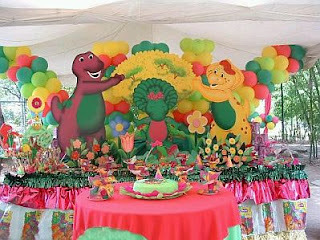 In this other image have a global concept of decoration on top is how the main table decorated with balloons and front columns Barney and his friends, and at the bottom, how is the environment. Beauty proposal if you like the idea of ​​decorating your party with Barney farmer, can complement the decor with trees and flowers. Placing columns of balloons in the back always looks good, go ahead characters from the animated series Barney & Friends and among them, some flowers. 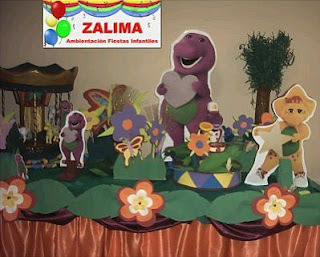 Sometimes it is necessary to overburden the environment as evidenced by the next picture, it was enough to put some cloth pads and pedestals species which are Barney and his friends. 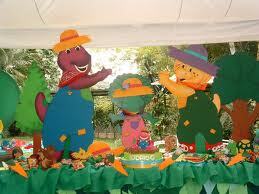 Of course, if you prefer more color, here's an excellent proposal with Barney and his friends. 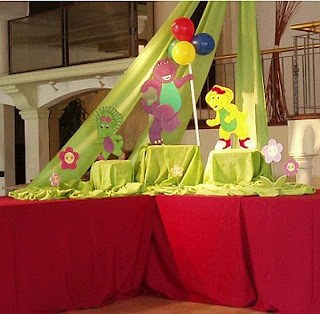 You can also use ornaments made of cardboard and place them on the head table, the result is interesting. 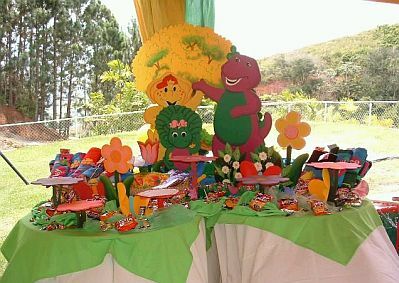 Cheerful and colorful decoration proposal with Barney and his friends, including large flowers and a house among the trees. Another colorful proposal ideal for outdoor celebrations, it is appreciated Barney, friends, flowers and trees. 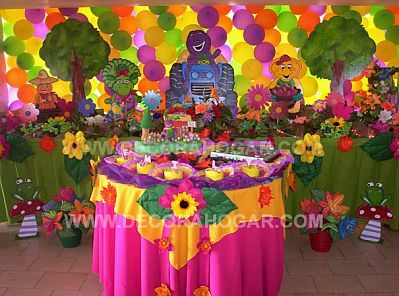 Finally, if it is color and joy, this idea is very interesting, important part is the multicolored curtain and front Barney, friends, flowers, plants and trees.